I have created alternative exercising options when there is inclement weather. 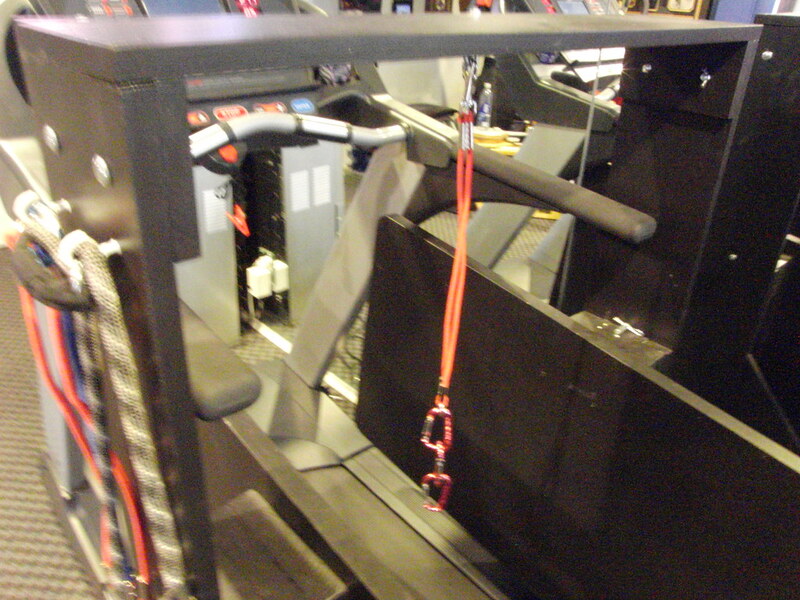 I built a custom frame assembly for my treadmill to safely exercise the dogs on it. The treadmill is a human grade commercial treadmill. I found for me and the Husky breed, that the professional fitness grade commercial treadmills have longer belts and are pretty heavy duty, not to mention a multitude of features. 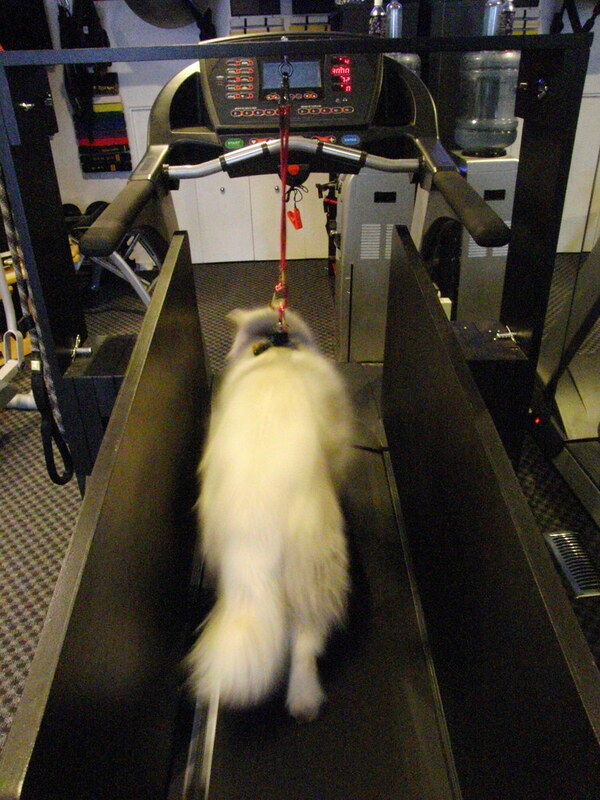 Depending on the size of the dog will determine the treadmill size you may need. From my research, the only real options for human grade treadmills size again is the commercial and home versions. For most people’s dog these are probably acceptable. For some very large breed dogs you may need a more dog specific one. I found that the dog specific ones vary in size but usually don’t have all the features of the human grade ones and they are usually more expensive than the human grade ones. 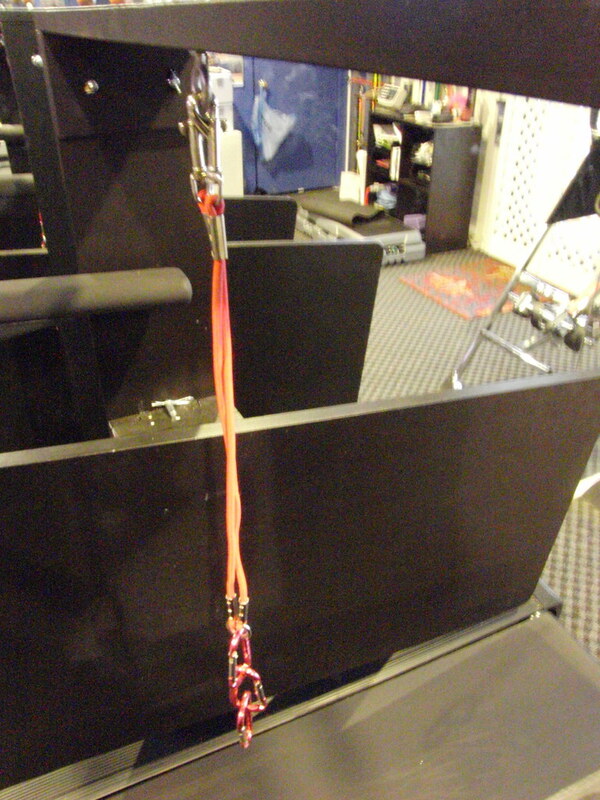 The dog specific treadmills will usually have a way to tether or safely keep the dog on the treadmill. Again I built a frame for mine so if you’re handy that is always an option. 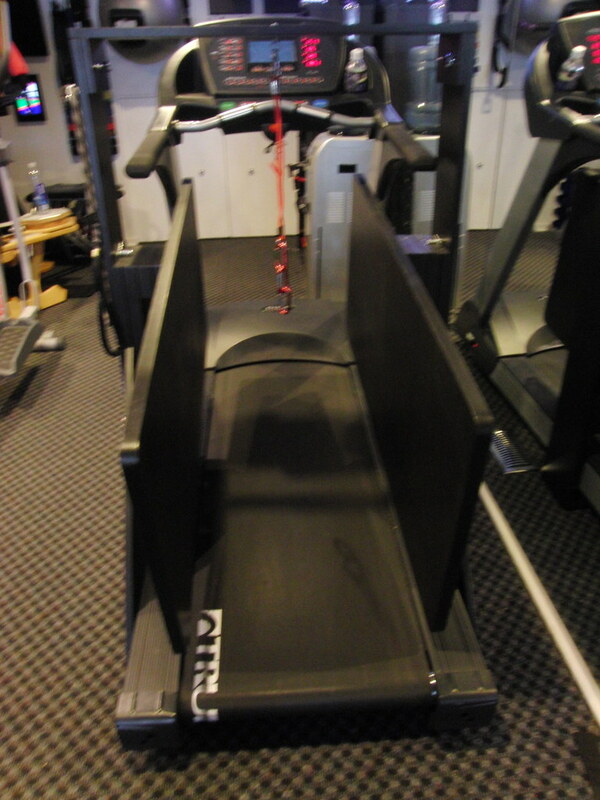 This Frame is easily converted (less than a minute with no tools required), and does not need to be removed, for my wife or I to use the treadmill!! 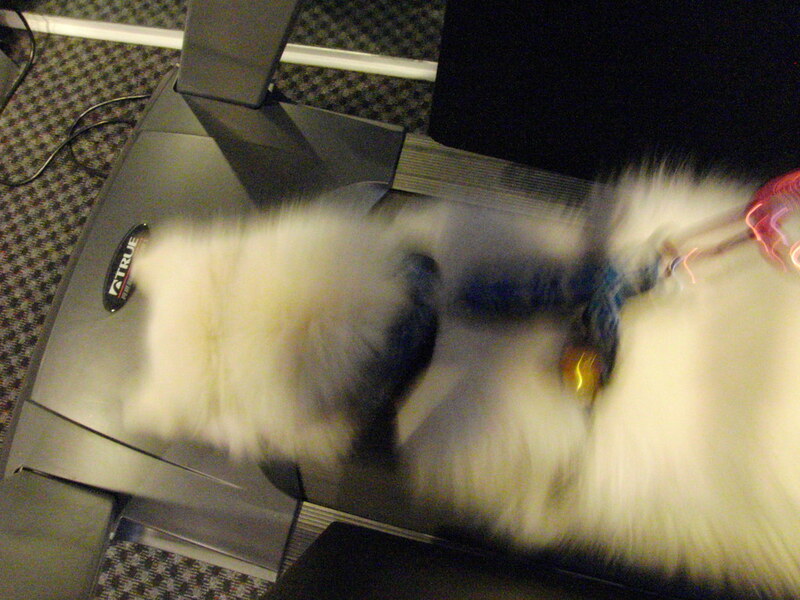 There are some dog specific treadmills also that are self powered by the dog!! That is appealing to me because that could be something that the dog could do on its own whenever it wanted to run. It lends itself more to keeping in an area where a trained dog could jump on at his leisure and just work it!! This is actually a method that professional sled dog operators use. 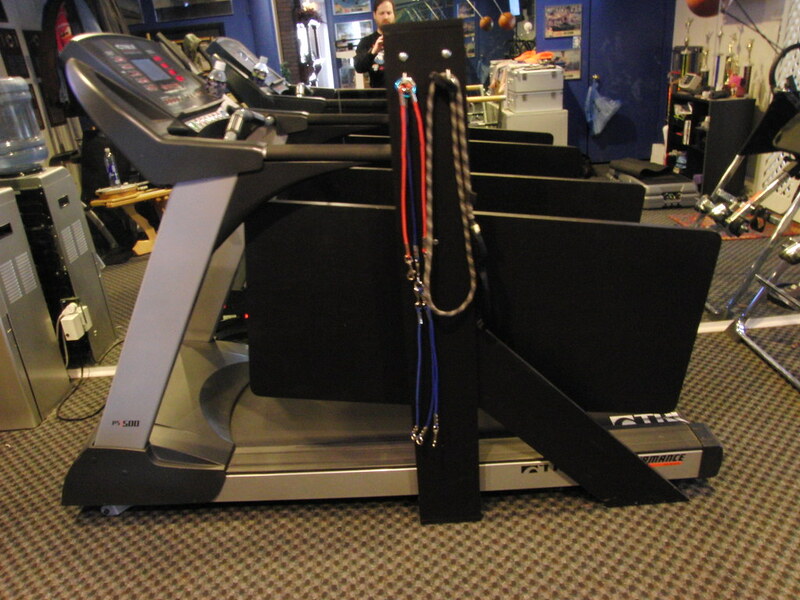 There are also a few sled dog operators who have custom built huge treadmills that can fit all or some of their sled dog team on at one time! Incredible stuff!! More commonly, these sled dog operators use a wheel that the dog can run inside of, almost like a hamster wheel. it is pretty cool and for the most part very safe. I actually was intrigued by this so I found someone to build me a custom high end one. This designer and craftsman actually builds these for people with smaller breed dogs and space limitations to exercise their dogs. My order was the largest one to date that he had produced!! I have read on the internet these similar wheels are used to exercise cats and exotic animals who are in captivity and need exercise. pretty interesting stuff!! 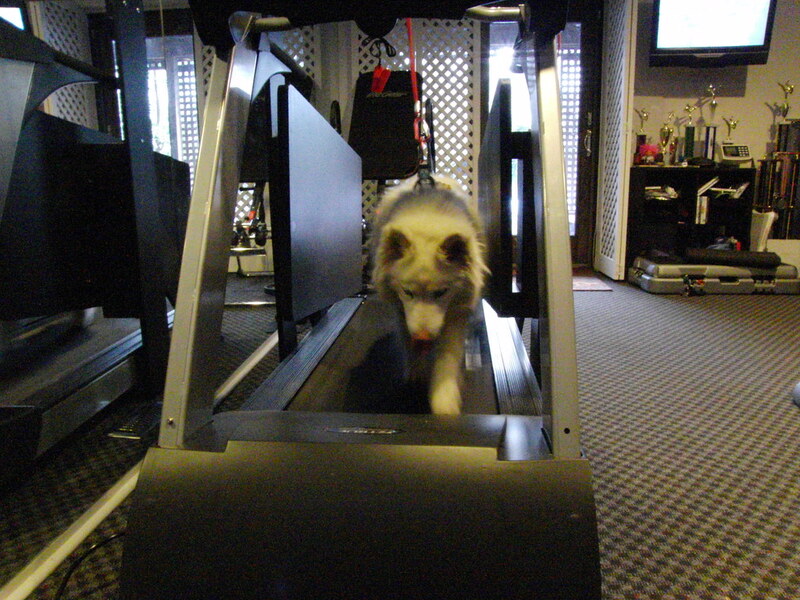 Check Out the treadmill video page for my dogs working it and other interesting videos I have found on YouTube.